Our longtime client Rosemin Ratanshi is both a successful businesswoman and an award-winning fashion blogger. We have enjoyed watching her business grow over the years and have shared in many of her successes. It is therefore fitting, to have Rosemin as our first guest on CZ Entrepreneur Masterclass. Rosemin took some time out of her hectic schedule to share her valuable insights into the world of social media influencers with fashion enthusiast and novice photographer Christine Fernandes. 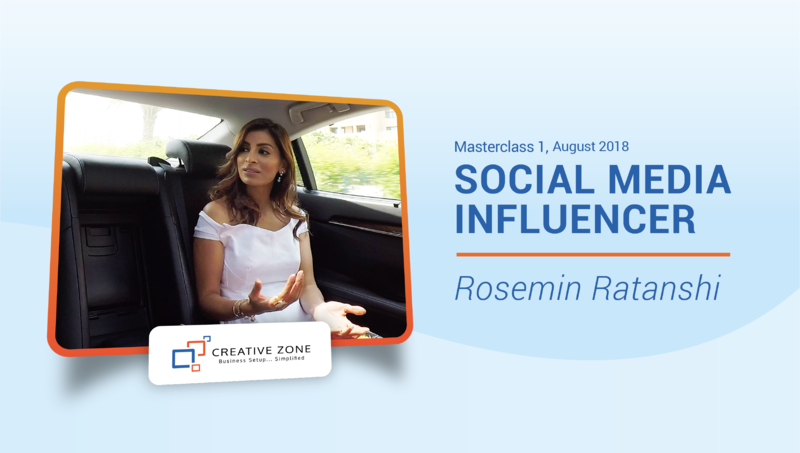 Watch Rosemin as she talks about her top 10 steps in becoming a successful Social Media Influencer in the UAE. The CZ Entrepreneur Masterclass is here to provide budding entrepreneurs with valuable insights from some of the UAE's most successful business people. Register now to gain regular updates.